A smooth profile styled for leisure. Evian’s contoured back cushions and soft pillow arms invite relaxation. 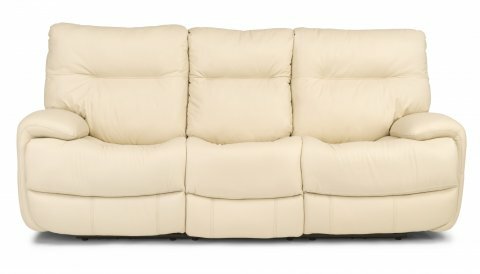 The slim padded C-shaped arm wraps snugly around the seat and footrest. Heavy-thread stitching enhances the horizontal flow of this style’s silhouette. A power reclining mechanism lets you change angles effortlessly from an upright to a fully reclined position with the touch of a button.